I’d be remiss to write a blog about Canadian gifts and not talk about success story Lug. Founded in Toronto back in 2005, this brand has gained international traction with their practical, pretty, colourful travel coordinates. Virtually every gift store you walk into – from mass chains like Hallmark to independent boutiques to luggage shops – carry at least a few Lug products. The company started out with a focus on luggage tags and belts, but today they’ve expanded to all sorts of goods for the traveller – whether your journey is merely to the grocery store or the great beyond. Most Lug products are easily characterized by their plush nylon exteriors, but they’re also mavericks when it comes to function and design. 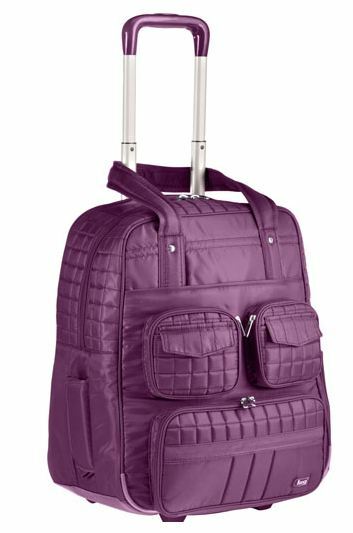 The Puddle Jumper wheelie ($165, pictured above) is a great choice for short jaunts abroad, and comes complete with a hidden water bottle pocket, padded laptop sleeve, cosmetic organizer, and a small pocket ideal to store your travel docs. Plus it comes in Lug’s signature range of rich, vibrant jewel tones – orange, pink, purple, lime green, navy and dusky blue, cranberry, chocolate, and midnight black. Lug bags and luggage might be what the brand is most famous for these days, but I personally dig their super-affordable travel accessories as perfect bon voyage gifts for the bestie headed abroad. 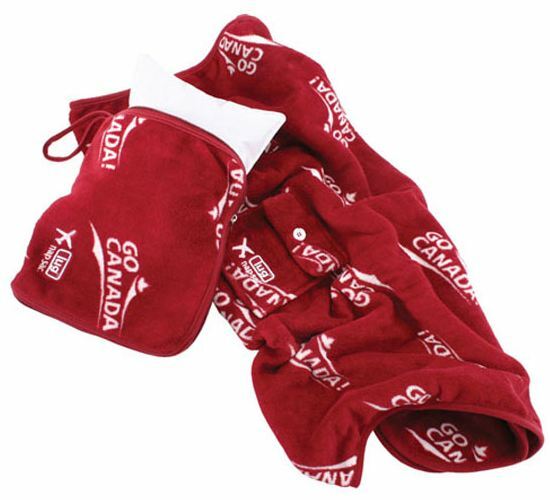 We all know that slapping a Canada patch on your backpack is a near necessity, but if your pal has a few foreign flights in their future, consider taking it a step forward with their ultra cute and cozy ‘Go Canada!’ blanket and pillow set. A must-have for overnight airport naps, this snuggly blanket tucks right inside the pillow when it’s not in use, and at $30, makes an affordable and appropriate farewell gift. The tendency to be uber practical has somewhat lumped Lug into the less fashionable category that is populated by the likes of North Face and Crocs – ridiculously practical benefits but not exceptionally stylish. Lug has responded to this by releasing increasingly fashion-forward pieces that go against the grain of what you’d expect from a travel-oriented company. 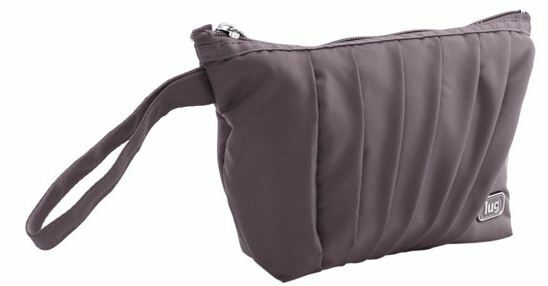 The Dash Wristlet ($22) is a totally appropriate piece of evenings, and a great choice for a gal pal birthday gift. Lug has all of their products available in their online shop, but you can find them pretty much anywhere across Canada.